What’s the Non Profit Industrial Complex and why should I care? 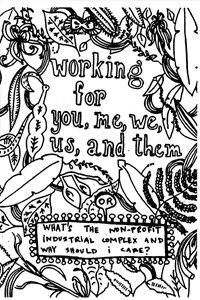 This introductory zine explains the “non-profit industrial complex” and how it functions to limit radical movements. It draws heavily on the book “The Revolution Will Not Be Funded: Beyond the Non-Profit Industrial Complex” and presents examples of this works on an international and national level. This particular zine isn’t the most nuanced argument, but it’s a helpful introduction to the topic and asks important questions about the institutionalization of social struggles. 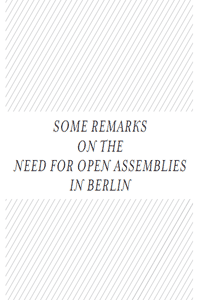 While rooted in recent experiences in Berlin, this zine is a worthwhile consideration of anarchist assemblies and their possible uses as informal structures able to facilitate actions without the need for formal organizations. 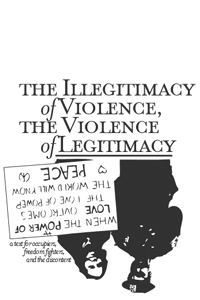 The zine argues in favor of an approach in which affinity groups call assemblies on an “as-needed” basis to sharpen both contemporary struggles and analysis. It argues in favor of an organizing culture in which anarchists embrace a plurality of different views and perspectives and facilitate ways in which these perspectives can be shared, rather than “organizing” anarchists into one particular group, campaign, or struggle. The zine has a lot of important suggestions and ideas that could help facilitate a shift in how anarchists conceive of organization, affinity, and political identity. In this essay, anarchist Cindy Milstein looks at how anarchists organize social spaces and asks how our efforts would be different if we organized in a way that prioritized social relations. Acknowledging that anarchist social spaces often are not the most welcoming spaces, Milstein shares reflections on the topic sparked by her participation in the 2013 Social Spaces Summit held in Unceded Salish Coast Territories. These reflections ask important questions about how things would look in our spaces and in our resistance if we organized in a way that emphasized the importance of social relations. This is a challenging zine in that it asks anarchists to think deeply about the environments we are creating within our spaces of resistance. 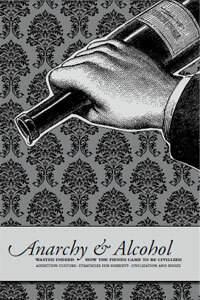 This zine by Crimethinc is a classic examination of the role that alcohol plays in the anarchist space. It features a critique that looks at how alcohol use (and abuse) within the anarchist space fosters apathy, connects with patriarchy, and blunts revolutionary efforts. A second essay looks at the role that alcohol and intoxication has played in the creation of civilization. Highly recommended! 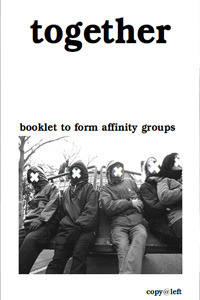 “Together” is a lengthy zine that explains how to create affinity groups as a tactic for political action. The zine is very comprehensive, looking at how to form affinity groups, challenges affinity groups face, coordinating between affinity groups, how to make decisions, and more. 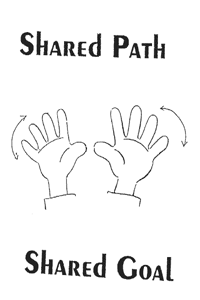 The zine is also offers helpful suggestions for analyzing actions and looking out for poor group dynamics. The zine comes out of Germany and as such has a different context than what one might encounter in North America, along with a few translation issues. Still, it is worth consulting. 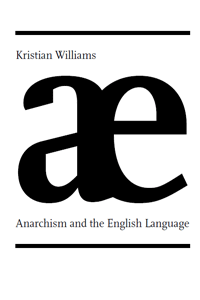 This zine features an essay by Kristian Williams titled “Anarchism and the English Language” in which Williams criticizes many of the ways in which anarchists chose to communicate their ideas through written language. Williams criticizes the use of vague phrases, specialized language, rhetorical inflation, and more. It’s a very good consideration of the topic. The zine also features a brief piece by Crimethinc which questions some of Williams recommendations. Together, they make for an excellent discussion of the topic. 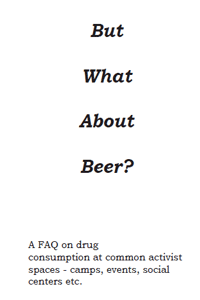 Sub-titled “A FAQ on drug consumption at common activist spaces â camps, events, social centers, etc”, this zine from Europe is designed to provoke a discussion about drug and alcohol use within activist spaces. It works as a rebuttal to many common objections about drug and alcohol use within radical political spaces. 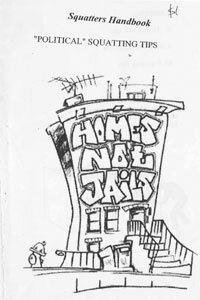 This zine from Homes Not Jails explores the idea and process of squatting as a “political” organizing tool. 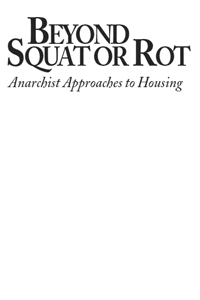 It offers a number of helpful tips on how to squat, the legalities of squatting, how to identify empty homes and other spaces, how to establish utilities, and how to fight evictions. 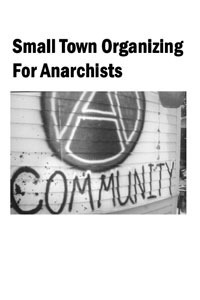 This zine contains a wealth of helpful suggestions for anarchists living in small towns who want to create anarchy. Topics covered include finding other anarchists, deciding on what projects to work on, figuring out how to relate to liberals, and doing a distro—this zine is full of good ideas and advice. 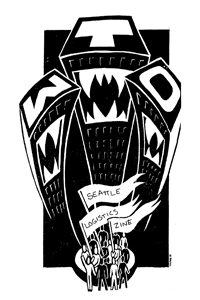 This very lengthy zine explores the logistical organizing and work that went into the 1999 convergence against the World Trade Organization (WTO) in Seattle. It provides a detailed overview of how several components of the mobilization were organized including security, space coordination, volunteer coordination, medical support, legal support, and the action scenario. This is an exhaustive zine that would be highly useful for folks interested in organizing and strengthening future mass mobilizations and direct actions. 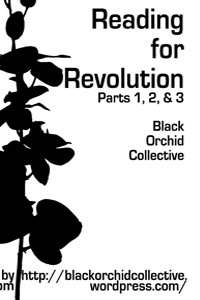 This zine collects three essays by the Black Orchid Collective on creating strategies for revolutionary reading groups. There are two shorter essays that explore important questions relating to literacy and education, while the bulk of the zine is the zine is the essay “Do-It-Yourself Strategies for Revolutionary Study Groups” that offers strategies and ideas for developing radical study groups. The suggestions are very specific, offering exercises that can be done to improve reading skills, build up confidence, and offer ideas for developing discussion points. There two appendixes that offer a sample curriculum and a bookmark that offers ideas for enhancing reading skills. This is a very detailed discussion that contains a lot of helpful suggestions. This zine by Tom Knoche explores the idea of “community organizing” and offers an anarchist critique of traditional approaches to community organizing. In place of those models, Knoche argues that anarchists can engage in this work in a way that promotes anarchist visions and practices. 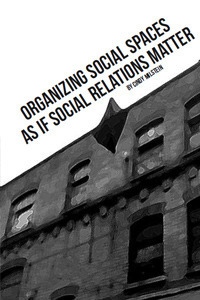 The author outlines some possible goals for anarchist community organizing while looking at how anarchists determine success in community organizing, the tactics they use, and how they decide where to place their focus. Opening Doors is a useful introduction to squatting. 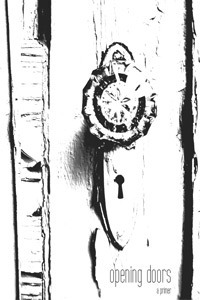 Whereas other zines on the topic are clearly dated, Opening Doors was written after the “housing crisis” and comes out of the context of increased foreclosures and empty houses. It discusses how to form a group, how to find a building, how to secure a building, moving in, and provides basic legal information (although it can be a little Portland-specific as that is where the authors come from). Overall, it’s a useful zine if you are interested in squatting or learning more about it. 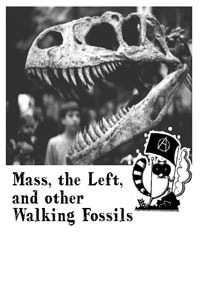 This zine is made up of selections from the book Anarchy in the Age of Dinosaurs. It was written by the Curious George Brigade back in the early to mid-2000′s at the tail end of what anarchists often refer to as the “anti-globalization era.” Some of it no doubt is a little dated, but for the most part it offers a good starting point for an anti-leftist critique: it rejects the idea of “the mass,” the notion of duty, single-issue campaigns, compromise, coalitions, permanence, false unity, etc. In their place, they offer a vision of anarchy based on affinity, decentralization, informal networks, and autonomy. There’s lots of good insights contained in here! This zine is a modified version of a guide published by the Beehive Collective that shares ideas for organizing an promoting events. It begins with the basics of giving yourself enough time to successfully pull off an event, finding a venue, promoting an event (with tips for email, social networks, newspapers, etc), designing posters and leaflets, and other ideas. 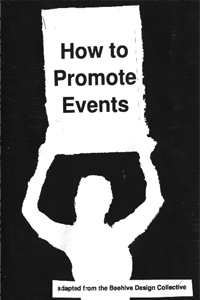 Throughout, there are good tips on promoting events based on the author(s) experiences. 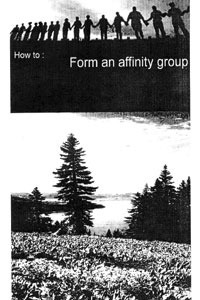 This zine is a basic overview of how to form an affinity group. Goes over the basic components of affinity groups: assembling a group, developing and carrying out a plan of action, and consensus. 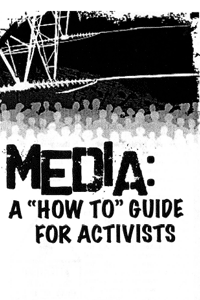 This guide—it’s really more of a “packet” than a zine—provides an overview of how to start a “copwatch” group. For those who are unfamiliar, copwatch groups seek to end police repression by monitoring and recording police interactions with people on the street and informing people of their legal rights. The guide explains how to do on-the-street observations, offers tips for recording the police, legal advice, and explains how police departments are structured. This short zine provides a basic introduction to collectives and how they challenge the dominant notions of “mass” based politics and society. It argues that the goal of a collective is replication of its form—encouraging others to start their own collectively-run efforts—rather than persuading everyone to join one big collective. 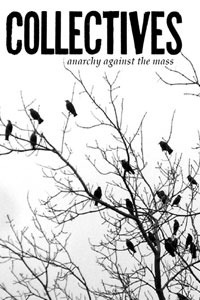 It’s a good read for people starting an anarchist collective. 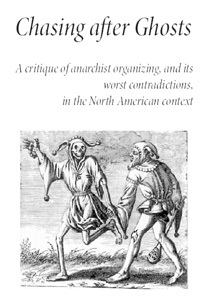 Subtitled “A critique of anarchist organizing, and its worst contradictions, in the North American context,” Chasing After Ghosts is a thorough critique of the anarchist milieu in the United States and Canada. It’s a strong and realistic critique that collects a lot of criticisms that have been said it various places and weaves them into a single critique. Going back to the anti-globalization era, it looks at many different anarchist practices: Food Not Bombs, summit protests, Really, Really Free Markets, collective houses, etc and discusses the limits (and in some cases positive attributes) of different anarchist practices. Chasing After Ghosts also delves into many anarchist controversies and debates including local organizing, coalitions, working with liberals and leftists, etc. The zine also offers some suggestions on where anarchists can go from here. It’s relevant to our local context (Grand Rapids, Michigan) and parts of it are likely relevant in cities across North America. 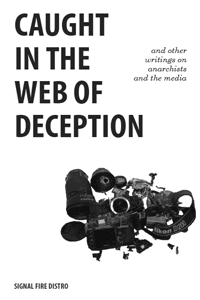 Caught in the Web of Deception: And Other Writings on Anarchists and the Media explores the anarchist attitude towards the media. Rather than operating from the assumption that all media coverage is good media coverage, Caught in the Web of Deception argues that the media plays a critical role in propping up capitalist democracy and that as such anarchists should approach it as the enemy. This is an updated version of a pamphlet originally published by Venomous Butterfly and this version substitutes the original discussion about anarchists and the media in Europe with communiques and writings about recent anarchist actions against the media. Building is a comprehensive guide to hosting events as a means of creating radical communities. The zine primarily provides a thorough guide to creating spaces (whether they be opening your house or some other type of space) for hosting events. While it is primarily concerned with hosting musical events, the ideas for organizing and promoting could be used for any type of event. 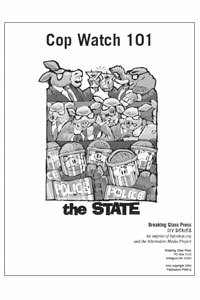 The zine is very much rooted in anarchist politics and offers tips on dealing with the police, creating “safer spaces,” and even offers a helpful glossary of terms. This is a very good zine and one that properly orients DIY against the mainstream. 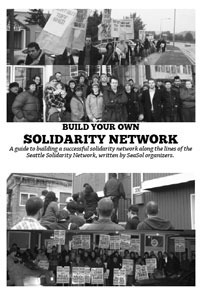 This zine looks at the Seattle Solidarity Network—an organization that uses direct action to fight for the specific demands of tenants and workers. 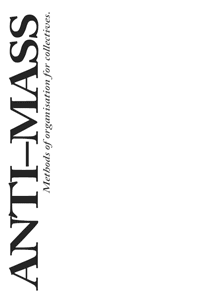 It’s an interesting approach to anarchist “community organizing” and this zine offers a good overview of how to start such and organization while also delving into some of the strategic rationale that underlies their work. The zine covers everything including how to get started, what tactics seem to work well, how to run meetings, etc. 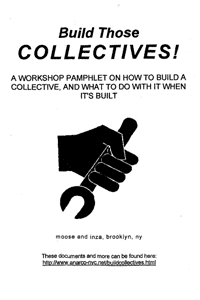 This zine provides an excellent overview on what a collective is, why you should organize one, how you do it, and what you do once the collective is formed. It offers a bunch of helpful ideas on everything from running meetings to communicating with other groups. It also includes several essays exploring different aspects of collectives, their history, and their power. Highly recommended! 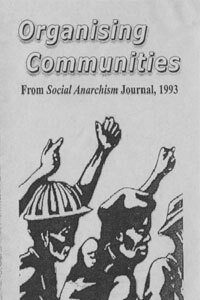 This zine from the 1990s looks at anarchist approaches to housing beyond squatting, focuses mainly on cooperatives, collectives, and the idea of anarchist neighborhoods and temporary autonomous zones. It offers some good criticisms and thoughts on the subject. 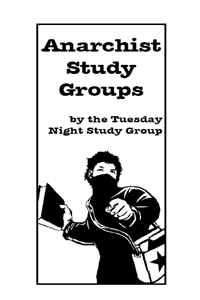 This pamphlet by “The Tuesday Night Study Group” is a pamphlet put out by a long-standing anarchist study group in the Bay Area of California. The pamphlet explains how they decide what they are going to read, how they facilitate discussion, how to decide on logistic matters (where to meet, how often to meet, how to get people involved, etc). It’s a helpful pamphlet for those who want an easy and worthwhile anarchist project to start in their area. This zine looks at the often and sadly unrecognized dynamics that can often occur in egalitarian collectives. The zine covers common problems, how they manifest themselves, what the group and the individual can do to address them, and more. This zine is great for people having issues in their collective and for collectives who want to guard against such problems. This zine is a great introduction to consensus process. It covers what consensus is, the hand signals used, why you should use consensus, the various roles in consensus process, and various tools that can be used to help the process. It also looks at some advantages and disadvantages of consensus and includes helpful drawings and diagrams. It’s a good thing to give to people new to consensus process. 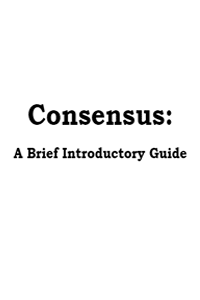 This zine is a (very) brief starting point on consensus. It explains what consensus is, how to use consensus (facilitation tips, hand signals, roles, etc. ), and explains how it differs from other forms of decision-making. The full title of this zine is “How to Put Together Your Own Participatory, Community-Specific, Radical Consent Workshop.” The zine offers a thorough blueprint for one kickass consent workshop. The zine was assembled by, and this workshop model was beta tested by, a Seattle University student group called Northwest Break the Silence. This is a quick guide to consensus that consensus-based groups can hand-out to newcomers and interested folks to help clarify how the consensus process works. From here the newcomers can learn by watching and participating. – workshop plan (agenda) for you to use or adapt for your own workshop. DOC – 275k Microsoft Word. External resources: Rhizome has lots of interesting materials and discussions about consensus and facilitation on their blog. 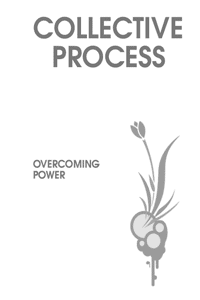 Training for Change: good resource for social change facilitators. Model Articles of Association for a Workers’ Co-operative (Company Limited by Guarantee) These articles (constitution) are for a workers’ co‑operative registering as a company limited by guarantee. They are for a workers’ co‑operative which is fully mutual, using either consensus decision making or voting and in common ownership. Includes explanatory notes and sample secondary rules. These articles are on the ‘Approved Model List’ of both the Co‑operative Enterprise Hub and Co‑operatives UK. This means that both bodies may will register your co‑op with these articles (or you can register yourself by following the instructions in the How To Set Up a Workers’ Co-op handbook). DOC – 510k Microsoft Word. DOC – 120k Microsoft Word. 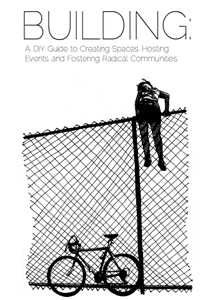 External resources: Introduction to Radical Routes booklet introducing Radical Routes. Topics covered include Aims and princiles; How Radical Routes works; How to join; How we raise and then lend money to our Members; Other services we can offer to members. Radical Routes: How to set up a Housing Co-op “We believe that everyone should be in control of their own housing, not at the whim of their landlord. Co-ops also provide secure homes, so that your housing is not dependent on your financial security.” Radical Routes: How to Set Up a Social Centre legal structures, business planning, property maintenance, licencing, policies, housing legislation, running a bar, etc, etc, etc. Co-operatives UK: Simply Finance guide from Co-operatives UK, an excellent guide to finance in your co-op or other social enterprise. Co-operatives UK: Simply Legal a comprehensive guide to the different options for financing a community enterprise. Co-operatives UK: Simply Startup a guide for anyone involved in the creation of an enterprise that will be owned by, run by, and supported by the community in which it operates. Co-operatives UK: From Conflict to Co-operation how to deal with conflict by improving communication, improving meetings and decision-making, managing the change caused by organisational growth and development and clarifying the role of the governing body. Co-operatives UK: Simply Governance a comprehensive guide to understanding the systems and processes concerned with the running of a sustainable community enterprise. Co-operatives UK: Worker Co-operative Code of Governance based on the seven co-operative principles this guide explains how to use these principles to both run your business and govern your co-operative successfully. Select a Structure Tool from Co-operatives UK – to help you choose a structure and legal form for your co-operative, mutual or non-profit organisation. More resources from Co-operatives UK. External resources: Simply Finance guide from Co-operatives UK, an excellent guide to finance in your co-op or other social enterprise. Volresource – huge site with lots of information for those in the voluntary sector – indispensable Funding Guides – from the S.Yorkshire Funding Advice Bureau. Very extensive – cover topics such as grants, evaluation, making applications etc. External resources for IT security: Tech Tools for activists is a 32 page booklet produced by members of the HacktionLab collective. It has been designed for activists who are not techies. The Electronic Frontier Foundation’s Surveillance Self Defense Guide covers the basic technical information and makes suggestions as to what you can do to protect yourself when using computers and mobile devices. The Activist Security Collective have information on activist security generally. External legal resources: Activists Legal Project – information about the law for people who are thinking of taking direct action, or who have taken direct action. Your Rights – guide to human rights law in England and Wales. Rights of protest, free expression, privacy, freedom of information, redress, suspects, defendants, prisoners, discrimination, immigrants, mental disorder, children and young people, workers, travellers, the bereaved, parents, property and victims and witnesses of crime, and contains articles on the The Human Rights Act. External planning resources: Campaign for Planning Sanity – extensive site with information regarding planning issues, and how to use theplanning process to beat adverse developments. Mast Sanity provides information and resources on campaigning against mobile phone masts.